That planeswalker looks like its going to be fun. 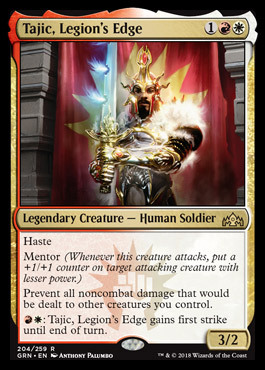 Does anyone have any opinions on Nicol Bolas? 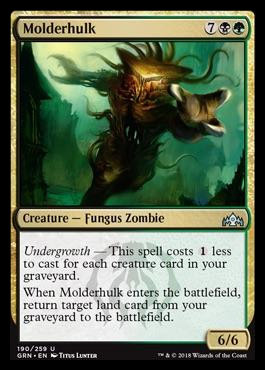 Man, WOTC really, REALLY wants Mono-Green to be a thing. 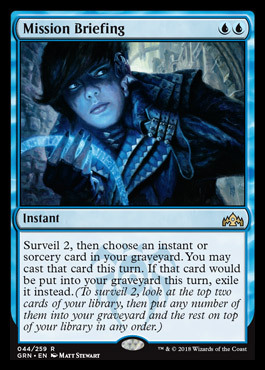 It's already a top competitive deck and it continues to get pushed harder and harder. 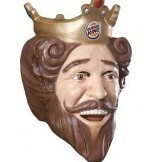 He's another massive threat! 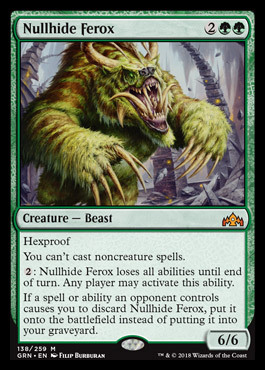 I don't know if it'll see play over Vine Mare because it's hexproof ability can be circumvented, but it sure is a lot bigger and has some upside of discard becomes a thing. 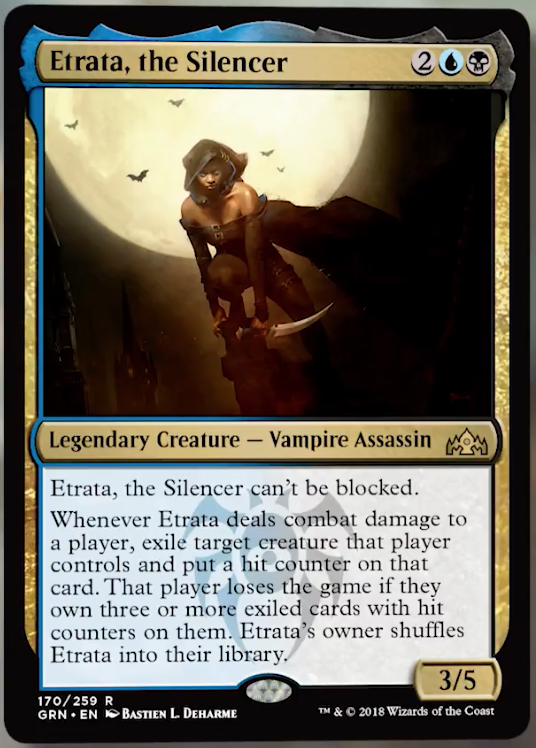 Some of the more interesting cards previewed over the past couple days. 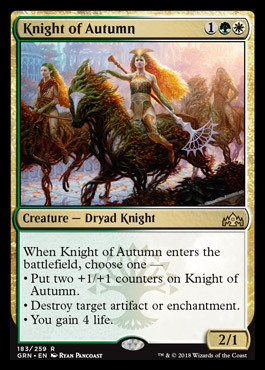 Knight of Autumn is pretty sweet. 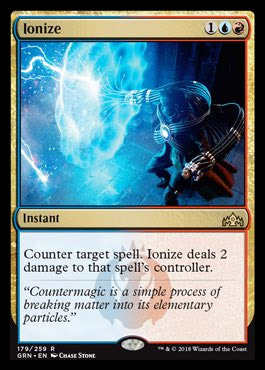 It's either a 3-mana 2/1 that blows up an artifact/enchantment and gains 4 life (better than Reclamation Sage) and if that's not relevant, then it's a 3-mana 4/3, which seems just fine! 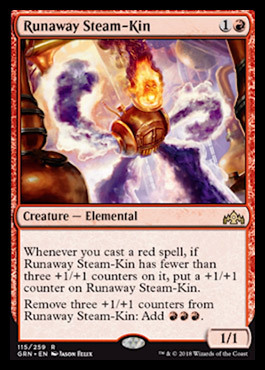 I also love the flavor of Runaway Steam-Kin, it either builds up steam and gets bigger or bigger, or dumps it all to power something like a steam engine. 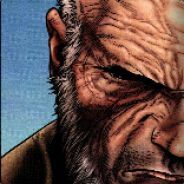 We just got back from a week+ of vacation. 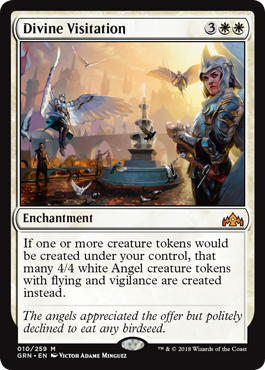 Kept an eye on spoilers, and love the set so far...other than boring Boros. 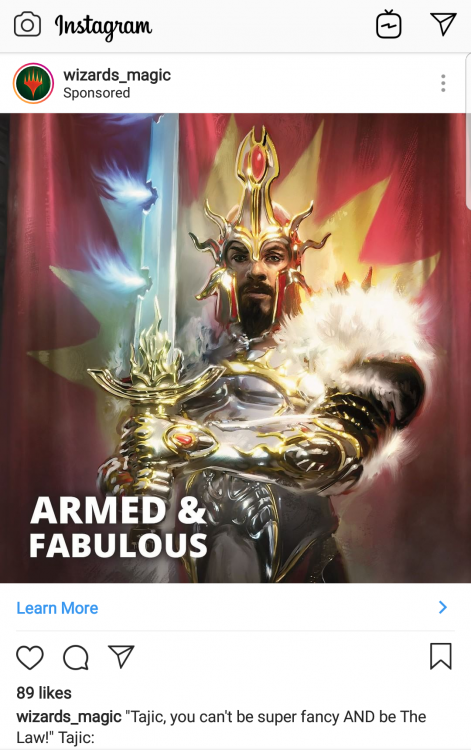 WOTC, what in the hell is this? 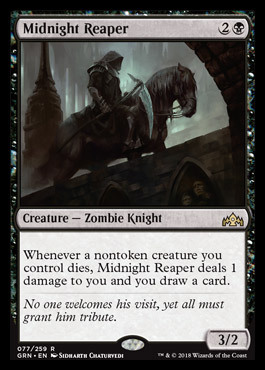 And now the card has been spoiled and I can't take it seriously. 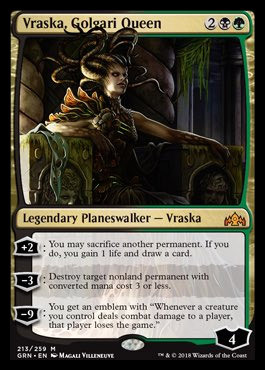 Makes me wonder if they've heard most of us complain about the lack of creatures the last several years and they're using green to get stompy decks back into play.